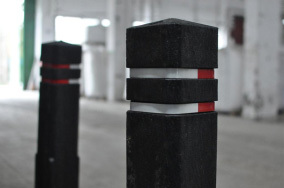 For bollards we use various colours of reflective tapes. It is possible to use different colour on customer's request, but only if available on the market. Own colourful combination should be described or given in symbols.